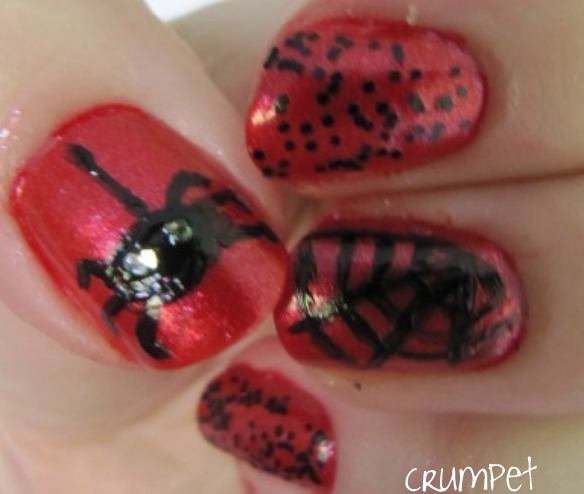 The Crumpet: Hallowe'en Cometh - Yikes, Spiders !!! 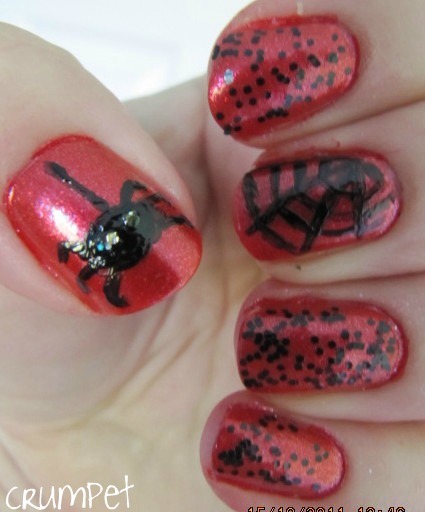 I must confess, Hallowe’en isn’t up there in my household as events that should be celebrated. I don’t get how big it is in America, but maybe because when I was a child, it just wasn’t “performed” in England the way it is now. 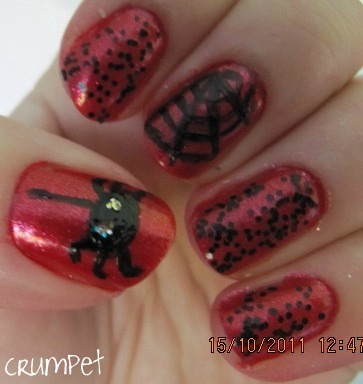 Which is strange, because I love witches and witchiness and cats, so Hallowe’en should be my favourite event of the year! 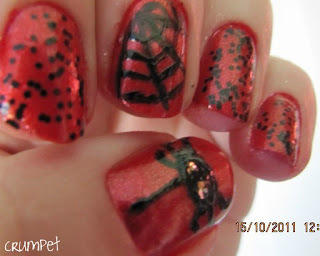 I have finally found some Hallowe’en nail art I could do! There have been some scarily amazing designs out there, and I take my hat off to the Goddesses that have done them. 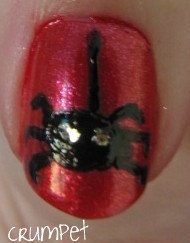 For this, I used 3 coats of OPI Animal-istic from the Muppets Collection. On 3 fingers we have Wet n Wild TANGLED IN MY WEB (which, btw is better when you DAB it on, rather than brush it on). 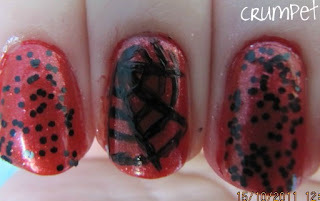 I so heart this polish. Love it. 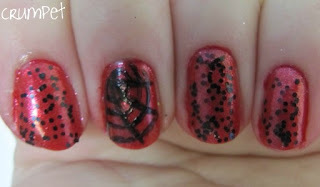 On the middle finger, I’ve just about managed a passable spider web, and on my thumb I drew a big old spider! His eyes are Milani Gems. I think spiders have 8 legs, but I couldn’t fit 8 on, so I guess I have to apologise to my spider for amputating 2 of his legs! Lol.